The annual MOPACA Alpaca Show offers fun for the whole family! Visitors will find approx. 400 alpacas, many vendors who sell products made from alpacas, and demonstrations of spinning and other fiber arts. Talk to alpaca ranchers and learn what it’s like to raise alpacas. Meet alpacas up close – and maybe even get an alpaca kiss or two! See how gentle and smart they are. We will be offering a special free workshop for visitors three times during the weekend: Saturday at 10 am and 2 pm, and again at 10 am on Sunday. “Alpacas 101” will give you a little information about alpacas, and an opportunity to ask question from people who raise them. If you are interested in attending, meet at the Welcome Visitor Table at the north entrance of the arena. The MOPACA Alpaca Show has become a favorite for people over the years. Families and individuals of all ages love to visit the alpacas, talk to the alpaca owners and see the beautiful product that comes from alpacas. 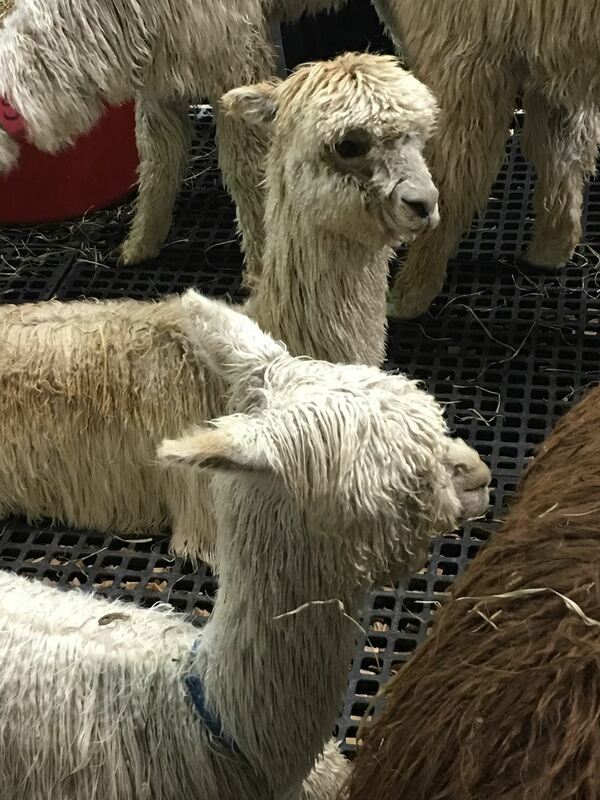 Visitors can watch alpaca fiber being spun into yarn, weaved into rugs and shawls, and final products produced. And then, shop for alpaca products such as sweaters, socks, and scarves. Many farms sell items at their stalls, and check out our list of vendors here. There is something at the show for everyone, and many people make it a point to return year after year to see the alpacas! You will find a schedule plus additional information on our Visitor Page. We hope to see you at the MOPACA Alpaca Show! Be ready to fall in love with these beautiful animals! Exhibitors and vendors alike love the MOPACA show! If you haven't been to the show, make this year your first! If you've been here before, you know you don't want to miss it! 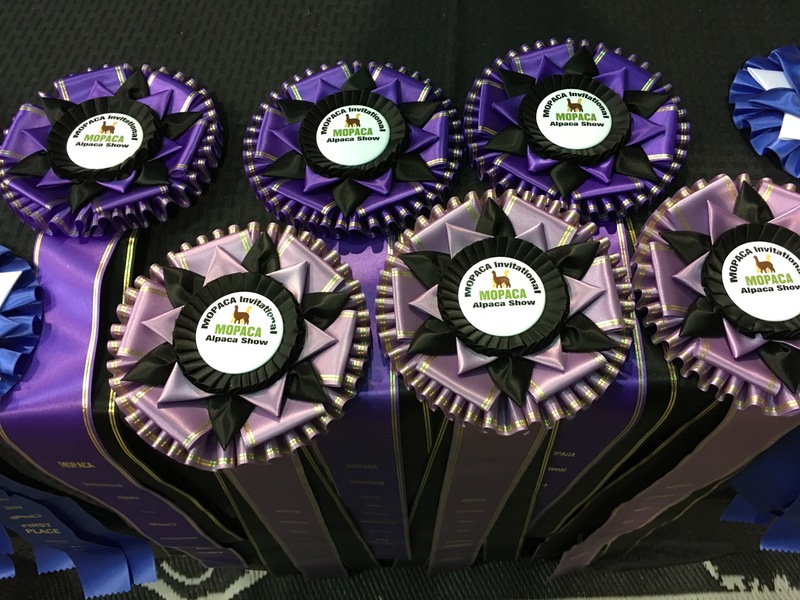 The 2020 MOPACA Invitational Alpaca Show will be held March 28-29, 2020. Exhibitors and vendors will check-in and set up on Friday, March 27. Competition will begin Saturday morning. If you have not attended in the past, plan to load up your alpacas and come!